Home » 1Click Blogs » How can 1Click.io help you manage your work during vacation? Summer may be the time for vacations for many, but small business owners, entrepreneurs, and executives can’t afford to be away from the office for long. It is clear that professionals, entrepreneurs & executives need to be “connected” with the team always – even during their vacation. We are living in the days where in-person meetings are becoming less relevant and video solutions are taking over traditions meetings. So we’ve given them the tools to not only meet, but also easily and efficiently manage content relevant for those meetings wherever they happen to be. Here are some reasons why you should use 1Click.io to collaborate with teammates while you are on vacation in Hawaii. 1Click.io is a completely browser based application, levering internet standard WebRTC,. One need not install any application to join a video conference. All he/she needs to do is click on a link to join a video call with your colleagues/client. 1Click is extremely secure leveraging the same security standard SSL which a bank uses. 1Click ensures you can join a conference from any public café securely and with ease. Getting access to a 10 Mbps connection at an exotic location is very unlikely. 1Click.io needs only 300 Kbps to make a clear video call with a team size of upto 8 members. This is one of the biggest advantage we have over any another product out there. We understand the bandwidth constraints better than any video calling solution. We support from high-definition-bandwidth-hungry-video-calls to low-bandwidth-calls. Any computer regardless of the configuration you can get your hands on is good enough for 1Click to empower you to connect with your colleagues. Screen Sharing & Document sharing. 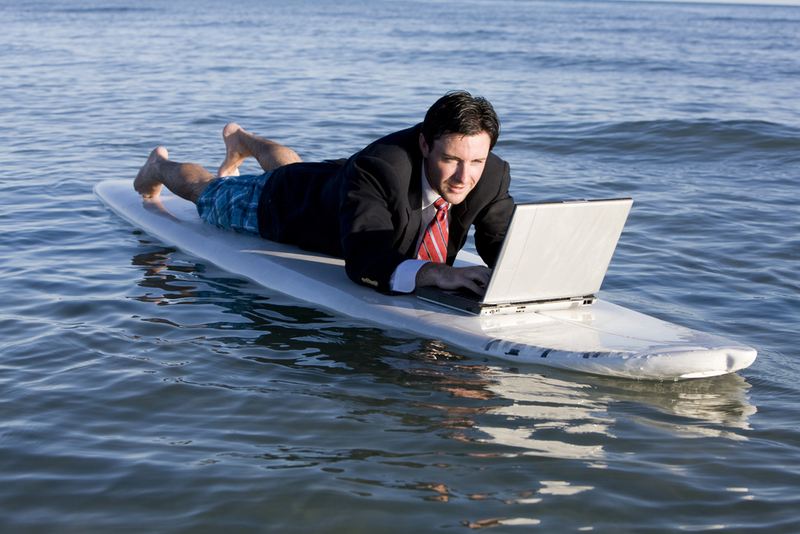 It can be hard to keep meetings on track, especially when you’re working from Hawaii. It’s important that you and your colleagues be able to share high quality documents with each other to get the work done along with sharing the stories of that fish you caught and that exotic seafood you had for dinner. Now it’s your turn! Integrate 1Click.io in your summer vacation plan. Here’s hoping you will enjoy the summer and have a happy holiday season. This entry was posted on June 11, 2014 by Silus Reddy in 1Click Blogs and tagged remote office management.